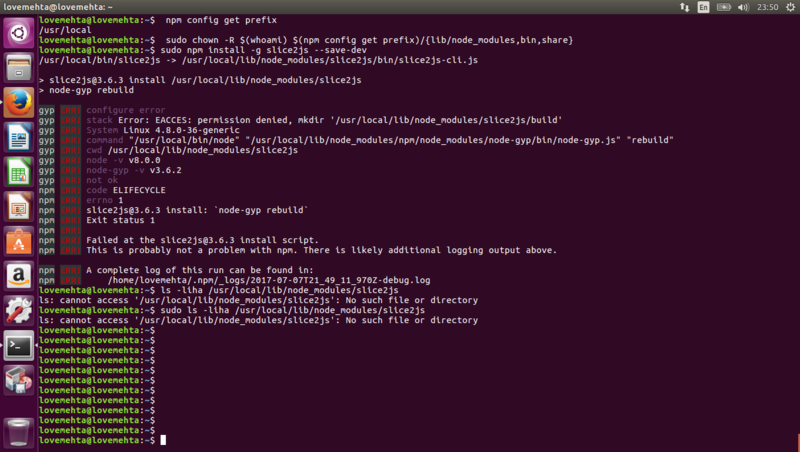 If you're using Option 1 from here then you should not use sudo with npm after fixing your permissions. ok sir i followed the instructions on the link. 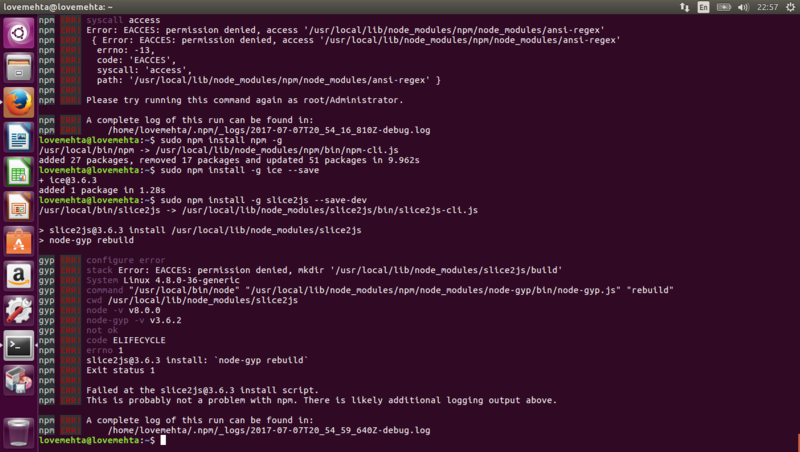 It still gives the same error and i have attached the new logfile.